YOU NEED TO RECEIVE YOUR FREE LIVE INSURANCE NOW !!! In this world of violence, insecurity, war and uncertainty, people live like they will never die and then they die like they have never lived. But you don’t have to continue that pathetic circle. You can make a different choice. You can secure your own life today! You must be saved to be safe! You really need to have eternal life my dearly beloved friend. I have long been waiting to tell you this. We are the ambassadors of a country apart from this world and our company has a project tagged “My Father’s business” . “My Father’s business” is all about broadcasting the free live insurance offer that Jesus Christ brought for humanity. “And Jesus said to them, How is it that you are looking for Me in all the wrong places? Don’t you know that I must be in My Father’s business?” (Luke 2:49). To be born again means to receive a NEW life from God by accepting the LORD Jesus Christ as your personal Lord and Savior. this is a spiritual birth that will activate you in God’s spiritual Kingdom and bring you into inheriting all that He has for His family. Salvation is God’s will for you. Nobody can see the Kingdom of God (God’s eternal place and way of doing things) without first getting saved. The Bible makes it clear that you must be delivered from all the dark rule of this present world into the glorious rule of God’s spiritual Kingdom .The Kingdom of God is righteousness from God instead of sin that’s in the world. It is peace of mind form God instead of war that is in this world. It is joy from God instead of sorrow, and it is all going to be given to you with God’s Holy Spirit, Who will come into your heart to be yours forever, guiding you and helping you experience all the blessings of God (Romans 14:17). “All have sinned and fall short of the glory of God” (Romans 3;23). 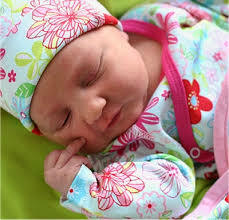 “And God saw everything that He had made,and behold it was good.” (Genesis 1;31). God created the humankind in love and gave us power to have dominion over all that He created for us. Then He planted a very beautiful garden in the east of a place He named Eden. And He put the humankind there; the first father and mother of the humankind. Out of love God gave humankind an instruction to eat of all the fruits of the garden except one which He forbade them from eating. He asked them not to eat the fruit because it was exclusively for Him and eating it would mean disobedience to Him and caused them to be separated from Him spiritually. 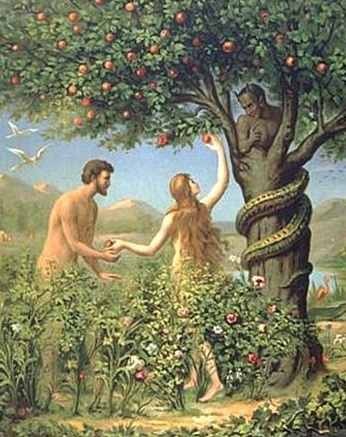 Humankind disobeyed God willingly and ate the forbidden fruit when the devil came and lied, telling them the opposite of what God told them. It is so sad that they obeyed the devil they did not know and trusted that stranger rather than God their Creator. God had warned earlier but they disobeyed Him. This disobedience gave the devil access into the life of the humankind. And several evil things began to happen because the humankind chose to go with the devil rather than God; they obeyed the devil and turned against God. All that God delivered to them, they turned over to the devil through that disobedience and the devil claimed ownership of them when Jesus came to restore them back to humanity. The devil took away the blessings God gave to the humankind and he became the new ruler of this world. Every evil you see in the world today is the result of the fall of the humankind and the rule of the devil. Satan introduced evil into the beautiful world that God made because the humans that God put in charge turned it over to Satan. Satan is also called the devil, the old serpent, the dragon and many other evil names that reveals his nature. He used to be a good angel created by God but he rebelled against God and chose to never repent (Revelation 12: 9). Satan invented fear and sorrow but humankind allowed him to spread it. One cannot blame God for the fall of the humankind. Despite all the goodness of God to the humankind, they still went ahead and exercise their free will against the instructions of God. They chose to go with the devil and that choice cost them too much. Why didn’t God made humans incapable of falling? God could have actually made humans incapable of falling, but that would have meant that they would be without a free will (freedom of choice) and they would have been just like animals or robots. It’s actually this free will that makes humans unique. It is part of the image and likeness of God in them. 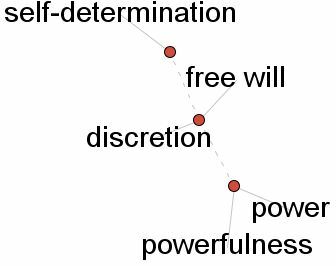 The free will of humans differentiates them from robots and animals. You see, God loves humans and made them in His image, but they chose the way of fall and delivered the authority they were given to have dominion by God to the devil, the enemy of God. You and I were in Adam. Jesus is the One who has come to get us out of it, “ Everybody dies in Adam; everybody comes alive in Christ”, (1 Cor. 15:22). “The wages of sin is death, but the gift of God is ETERNAL LIFE through Jesus Christ our Lord”(Romans 6:23). The reward of sin is nothing but death but there is only one way out of this death. It’s the plan of God for salvation through Christ who died on the cross.He loves you so much that He offered Himself to be brutally wounded and killed by the cross. Jesus really loves you and has gone all the way to prove it.He has demonstrated it for you to see and to believe in His love for you and be saved. God loves humans so much that He cannot give up on us. Hear the voice of His love today and be saved. secure your life by receiving His insured life. By the natural cause of event, through the sin of Adam,we all inherited spiritual death and were alienated (separated) from God. We were fashioned and nurtured in iniquity and have no divine life. But thank God for sending the Son of His Love to come and rescue us. Jesus came to restore the divine life to us. “Behold, I was brought forth in iniquity, And in sin my mother conceived me” (Psalm 51:5). However, God loved us so much and He sent Jesus Christ to come and undo the works of the devil and restore us back to Him. 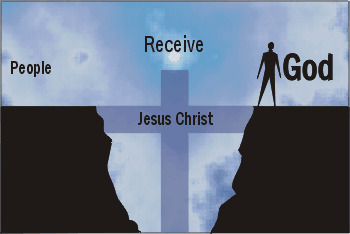 Jesus was manifested to destroy the works of the devil and to give us eternal life ( 1 John 3:8; John 10:10). Although we sinned but God loved the world too much to watch us perish, so He sent Jesus to die so we could live. What a great love! Believe Him today and live! 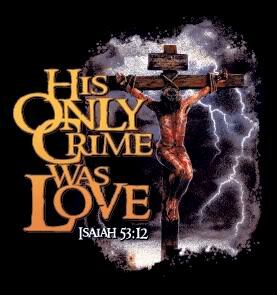 His only begotten son that whosoever believes in Him should not perish but have EVERLASTING life”(John 3;16). It’s your decision for Christ today that will give you joy,everlasting. There is a vacuum in every man that God must fill, but how would He, except He is allowed? God want’s to give you real peace through your acceptance of His Son Jesus. The choice that the first humans made affected the whole human race but the hour has come for you too to make your own free will choice. You may either accept this offer of eternal life or reject it. If you accept it, there is a heaven for you to gain but if you reject it, then there is a hell for you to go although it will be very sad. Your own “forbidden tree” this time around will be Hell and Jesus Christ is the Tree of Life. Your choice today will determine your destiny; either eternity with God in heaven or with that rebellious devil in Hell. Hell is a place of torment which God made for Satan and His fallen angels but hell has expanded itself and opened its mouth wide to welcome as many as will chose to go there with the devil by rejecting God and His free gift of eternal life that is in Jesus Christ. It is so sad that several human’s has chosen hell but I am so very glad that there are numerous who have also chosen to enjoy the free gift of eternal life through Jesus Christ. Now the choice is all yours. But I advice you to accept Jesus and live forever as a child of God in His everlasting family and Kingdom. I have tasted eternal life and the power of the world that is to come and I testify that it is the best thing I have ever known! Jesus is waiting to be permitted to come and rule your life. He is knocking at the door of your heart! He’s the prince of peace who will give you the peace of mind! He’s the messiah who will save you from sin and sickness! He’s the counsellor who will give you counsel during tough times, and life’s hardest moments! 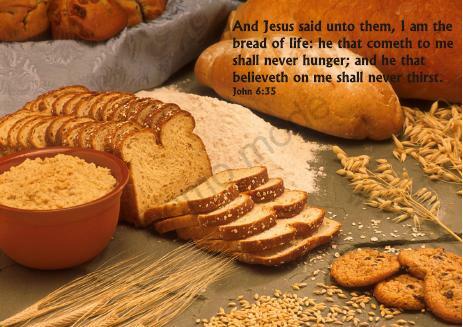 He’s the bread of life who will feed your soul forever! He’s the truth which descends from heaven and the only way to the kingdom of God! Turn to Him because now is the day of salvation! “Dear Lord Jesus, I believe you. I come to you today, and I confess you are the Son of God,that you died for me and that God raised you from the dead.I believe this with all my heart and I confess with my mouth ,I receive the gift of eternal life, I am born again. (Romans 10:9-10) Thank you for saving my life. Amen. If you’ve just said that prayer, congratulations! You’re now a new creation! Your past no longer exist except in your mind if you still keep it there and if you will believe what God said about you, you will know that this is true. All the sins you’ve ever committed no matter how horrible they were have just been wiped away without any trace left, and you’re made totally pure and new by the blood of Jesus Christ. You’re now made to sit with Christ in the heavens, far above all principalities and power. Satan has lost all authority over you. 1.You need to get a Bible if you don’t have one.The Bible is God talking to you, each time you want to hear God speak to you, just turn to the Bible! Try to read it everyday, as much as you can. You will find it interesting if you persistently read it. It is written for you and it tells the story of God’s love for the humankind inclusive of you. It’s a love Book. It will tell you about God and you will discover yourself within it’s pages. Ask the Holy Spirit who now lives within you, to help you understand it. He is a Person, though invisible (You can’t see Him with your physical eyes but you can know Him with your heart, which is your spiritual eyes). He is Christ in you! Tell Him to be your Teacher because He is the best Teacher there is. He’s very nice and tolerable. He’ll be pleased to do this for you. He deeply loves you and He will be patient with you. 2. Prayer:You need to start talking to your new heavenly father by His Holy Spirit who now lives in you. Do this by prayer, just tell him how much you love Him and your desires.You can also tell Him to save your loved ones. He’s reliable! He can be trusted more than your earthly parents.Just call Him and say “father in Jesus name,and He’s all hears for you,then go ahead and tell Him all,He is so patient and intelligent,He will answer your prayers and give you your needs because He loves you more than anyone loves you in the whole word,believe me you’ve got a father,a loving father. 3.You need to start attending a church where the Word of God is preached. The Word of God is the food of your spirit or heart. You can’t live without it. Just like you can’t live without physical food you also can’t live without feeding your spirit with the Word of God. Also try and read Christian literatures that will increase your understanding in God as well as listening to messages on tapes and watching them on Television. But be careful you don’t listen to whatever condemns you and whatever is not helping your faith, those are poisonous. 4. Don’t neglect the fellowship of other believers, because it creates an atmosphere for you to grow and be more like Jesus, it helps you express the love of God. You’re to walk in love for this is the will of God for you, that you should love other people even as He loves you. Know the kind of friends that you keep. You may have to drop any friend who will hinder your walk and growth in God. Be always conscious of God’s care for you and others! Walk in His love and forgive everyone who offends you no matter what they do. Do this because it is how to live your new live and show God’s love to others. 5. You also need to start to witness to others about the saving power of Jesus. Tell them how the Lord has changed your life since you’ve invited Him to live in you. God is proud of His children who boldly tells others about Him. He’s glad each time you preach.Your faith will become stronger as you tell others about what the Lord is doing for you daily. If you still feel like you fail, don’t be discouraged. You are not what you feel but you’re whom God say’s you are. In 2 Corinthians 5: 17 God says that you’re a new creation, that is God’s bold declaration about you! Talk that word back to the devil, say it loud and be conscious of it. Never allow the devil to make you feel guilty and rejected of the Lord. He’ll suggest this to you many times but don’t mind him, he’s a lair.No matter what you do God is not mad at you!Just walk in the love of God and you will not fulfill the desires of the flesh. Always remember God loves you and understand what you’re going through. You are always accepted in the beloved just as children are welcomed in their father’s home,good fathers home . God has become your heavenly Father and assumes the full responsibility. God is not only in love with you but He is Love (1 John 4:8). He has reproduced Himself into you in Love and righteousness. He sees Himself in you! You inherited the spiritual DNA of God! It’s Love and righteousness.You can now love God and others like He loves you. How amazing? Surrender to the Holy Spirit and yield to Him as He constantly instructs and guides you towards a perfect love.His main assignment is to guide you towards perfection and maturity in love. He will constantly speak inwardly to your heart, sometimes it will come like your own thoughts. The Holy Spirit will help you. He’s on assignment, His mission is to make you more like Jesus everyday, in the understanding of God’s Word, and in your walk towards other people. He’ll bring you up into maturity, like a mother trains up her child.You have to trust Him. Because He is a Spirit, you will hear and know his voice in your own spirit deep within. He will witness gently to your heart and you will perceive His voice. He will always tell you things that are in line with the Bible and whatever He says will glorify Jesus and get you closer to Him. That is how to be sure its His voice that you are hearing. However, because you are now born of God He is now your heavenly Father. You are spiritually joined together with Him and you have become one spirit indivisible with Him (1 Corinthians 6:17). Consequently, you will have a lot of thoughts that will look so much like God is the one talking, even to the extent that you will sometimes wonder if it is just you or Him, but don’t be troubled at all, it is because His thoughts will constantly flow into your heart, therefore teaching your heart to think like He does. There will also be times that the devil will speak to you but whatever he tells you will contradict what God said in the Bible. You are advised to dispel any thought or words that doesn’t line up with the Bible, no matter where and how they comes. Always appreciate the Lord. Give thanks to Him at all times. Stay blessed! CONGRATULATIONS ONCE AGAIN! WELCOME TO THE AGAPE FAMILY OF IMMORTALITY! You can contact me or live a comment below, I’ll love to hear from you. I really want to pray for you and encourage you in your spiritual walk. All things are yours in Christ! I’m tremendously blessed by your profound teaching on the new birth. You’re a blessing to this generation! Excellent post. I was checking continuously this blog and I am impressed! Very useful information specifically the last part 🙂 I care for such info much. I was looking for this particular information for a long time. Thank you and good luck. I¡¯ve read a few good stuff here. Definitely worth bookmarking for revisiting. I wonder how much effort you put to make such a magnificent informative site. I have been exploring for a little for any high quality articles or blog posts on this sort of area . Exploring in Yahoo I at last stumbled upon this site. Unquestionably believe that which you stated. Your favorite reason seemed to be on the net the simplest thing to be aware of. I say to you, I certainly get irked while people consider worries that they just do not know about. I had been wondering if your web hosting is OK? Not that I’m complaining, but sluggish loading instances times will sometimes affect your placement in google and can damage your quality score if advertising and marketing with Adwords. Anyway I am adding this RSS to my e-mail and can look out for a lot more of your respective fascinating content. I¡¯m not sure where you are getting your info, but great topic. I needs to spend some time learning much more or understanding more. Thanks for wonderful information I was looking for this info for my mission. Hi my friend! I wish to say that this article is amazing, nice written and include approximately all vital infos. I¡¯d like to see more posts like this .